Washington Area Bicycle Association, WABA, is this city's well known advocate group on two wheels. League of American Cyclists is their nationwide equivalent. Transportation Alternatives is a powerful New York based sister organization. Every major city has an association promoting safe biking for transportation & pleasure (not mutually exclusive). Knowing where to get help in relearning what our grandparents & family members before them knew about self propulsion in the community is the first step to developing a better cycling environment for all. We get all skill levels of cyclists as renters. All could use some of the expertise the groups above offer. For those without any town based group, the Bike League is a great start. In many cases they may inspire the birth of a local organization for likeminded local riders. WABA has classes for riders, and great materials for easing your way onto a saddle (not seat). Free maps, membership discounts at shops around town along with popular events to socialize and energize you for the bigger world of cycling as a part of life. 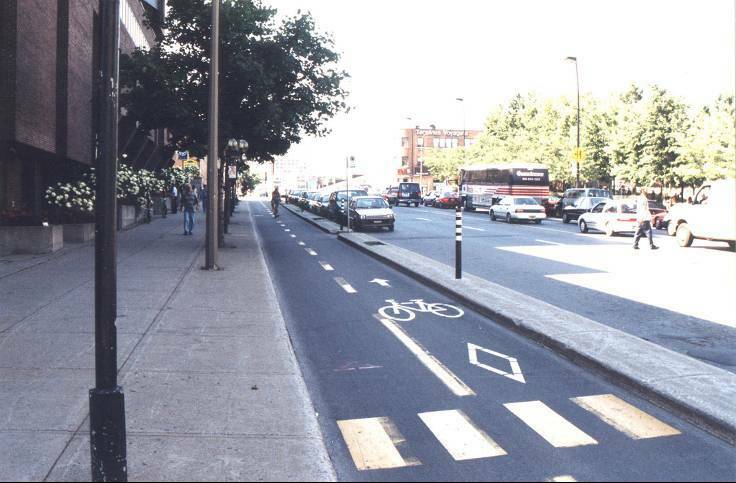 In an ideal cycling world, separate lanes from cars would be everywhere. Study after study shows that the greatest action to improve the safety of riders is reducing and removing interactions with motorized vehicles. The second thing is improving rider skills and bike maintenance, which all of the previously mentioned groups provide. Although we endorse helmet use to our adult renters, it is not mandated or legally required, unless you are under age 16 in DC. Experienced cyclists know there are billions who ride and have never donned a helmet. And in those countries of varying car driving densities, there is no epidemic of bike injuries. Sometimes anecdotal evidence can be taken as absolute fact. Listen to the European experts that American cities are slowly beginning to copy. Copenhagenize is a site about one of the most cycle friendly cities in the world. 15th Street NW has a two way separated lane, north to south. By the end of October 2013, there will be a protected lane on M Street from 14th Street to 30th Street NW, east to west. The west to east protected lane exists on L Street NW. There are still learning curves for drivers on how to navigate, so be aware. Now that there is a start in the Nation's Capital to improve and increase the routes for cyclists safety, knowledge must be dispersed, skills need to be honed, and fun must be had all around. Reddit has even gotten in on the fun in DC cycling. Please feel free to comment here or on any blog posts.